NewWorldStation.com featured CLEAN MONEY MUSIC Performance at the NYC Maration - represented by PETE COLON from the Bronx and NASHON WALKER from Philly who impressed spectators with a clean commercial Hip Hop sound - not defined by the Industry. Their creativity, thought provoking lyrics and hot beats kept the runners energized and the crowd rocking on both sides of the street despite the rain. 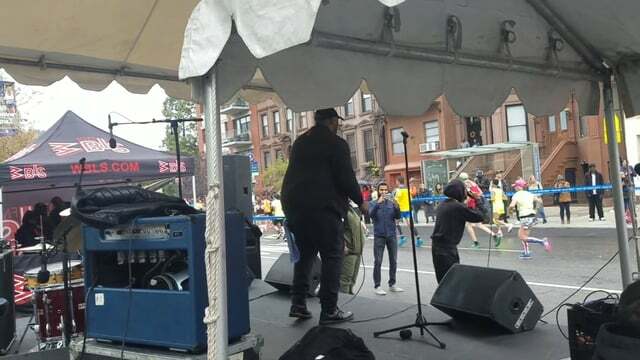 Also, several blocks away artist Afrikan Kartel gave an electrifying performance on the 117th street stage as the crowd danced and cheered each passing runner. It was truly a spectacular event filled with great performances. Special Thanks to Greater Harlem Chamber of Commerce / Voza Rivers, Executive Producer, Marko Nobles Vice Chair, the organizers of the NYC Marathon Harlem Run; Don Fryson, President / CEO 360 Entertainment International and Originator of Clean Money Music!